Hundreds of utility power plants could become stranded assets if electric customers pursue these affordable alternatives to utility provided power, undercutting a century of the traditional “bigger is better” electric utility business model. The latest report from the Institute for Local Self-Reliance details how battery storage literally and figuratively reverses the grid’s power flow and puts customers in charge. It offers policymakers, utilities, and individuals a roadmap of rules to capture this opportunity for energy democracy and save everyone money. John Farrell, the report’s author and the Director of the Energy Democracy initiative at the Institute for Local Self-Reliance, illustrates how the combination of solar energy and energy storage can already compete with grid electricity prices in many places. This requires policy makers to act now to keep utilities from making bad bets on centralized power plants as their customers have newfound choice. 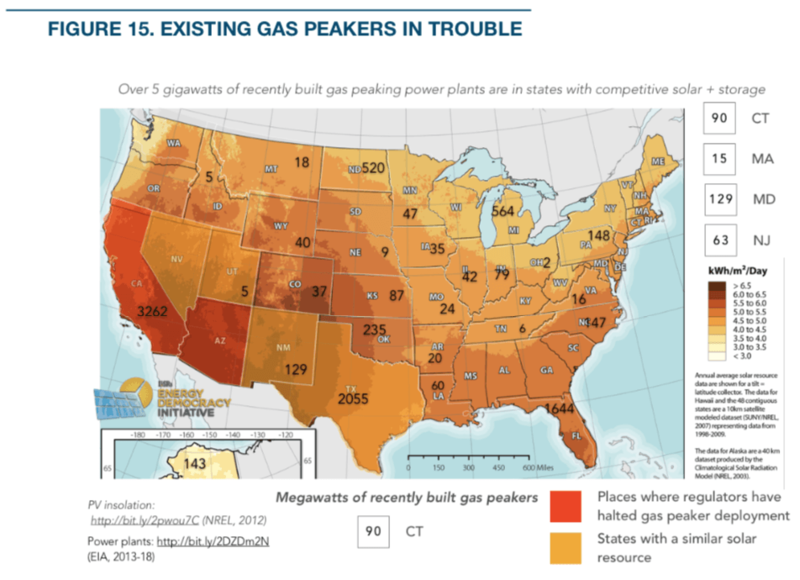 “Utilities have plans to build over 60 gigawatts of new gas power plant capacity in the next five years. This report illustrates the danger in allowing utility companies to go on a gas power plant building spree when customers can opt out in great numbers,” argues Farrell. “We pulled current cost data to show that distributed energy storage (and solar) allows California and Arizona customers to cut their energy bills today, even as they undermine centralized power plants. The solar-plus-storage revolution raises the bar by providing customers more leverage. If utilities reduce the price they pay for customer-owned solar energy or raise fees on their customers’ utility bills, customers will have more power to reduce their reliance on utilities. Such an economic showdown promises to incite many state policy battles across the U.S., largely over whether utility shareholders or their customers should capture greater economic benefits and whether utility customers are able to exercise the choice to use these distributed technologies. The report features a number of recommendations for how legislators and regulators can allow residents and businesses to capture greater value from distributed energy resources. It also emphasizes the need to require utilities to plan effectively around the inevitable solar and storage choices their customers will make, with or without their permission.